For men and women of a certain age, it's always nice to see the Turtles. It is no coincidence that the four pizza loving reptiles have made a resurgence right as Millennials are having children of their own. The screenplay seems lifted from a pastiche of episodes from the 1980s animated series. The cartoon-y tone is a nice differentiation from the self serious superhero films to today. 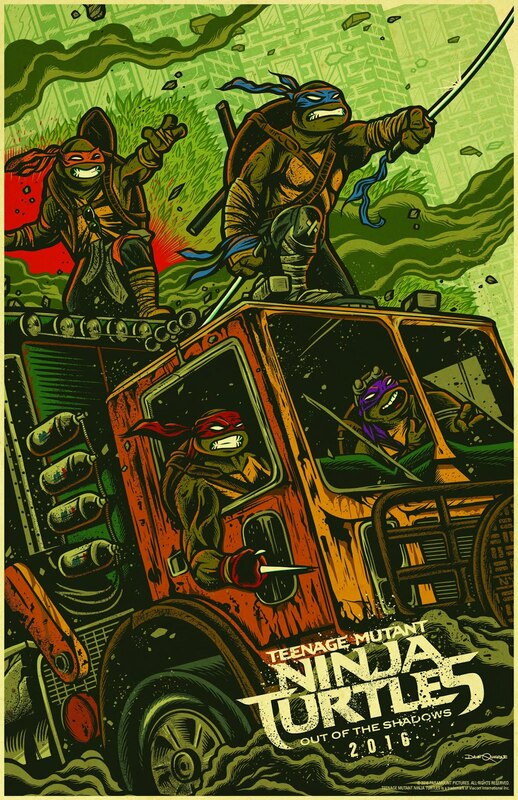 Who wouldn't smile when the Turtles come flying down the highway in their "Tartaruga Brothers" garbage truck? Unfortunately.... Teenage Mutant Ninja Turtles: Out of the Shadows jams in too many concepts and quickly unwinds. In efforts to be a fan pleaser, it fails to be an audience friendly. Anyone not familiar with the source material will be thoroughly lost as the film careens from one set piece to the next. The Shredder, the turtle's arch enemy portrayed by Brian Tee, is back, though is plan isn't much more complex than "crush the turtles." While Shredder's mutant henchmen Bebop and Rocksteady are welcome additions, another major villain is revealed from out of the blue, with no foreshadowing and no dramatic heft. This person literally "appears" simply because he did in the cartoon. This is to say, the script has all of the subtly and nuance of a video game loading screen. To make matter's worse, the film seems like it was edited in a blender. Will Arnet's cowardly-yet-arrogant TV cameraman Vernon Fenwick is still the series' highlight. He at least gets a few intentional laughs. Female characters are totally wasted. Megan Fox plays iconic TV reporter April O'Neil, but Shredder's henchman Karai, played by Brittany Ishibashi, is a character only Turtle acolytes will recognize. There is also newcomer to the series Laura Linney as a police captain. Neither are given much to do, other than show up on screen every now and again. The iconic Tyler Perry plays another of Shredder's henchman, and he cackles like a 1950s mad scientist. The less said about this film's iteration of Casey Jones, the better. Teenage Mutant Ninja Turtles: Out of the Shadows is an expensive, neon colored mish-mash of 1980s nostalgia and modern day vapidness. Yeah, there's a couple laughs. 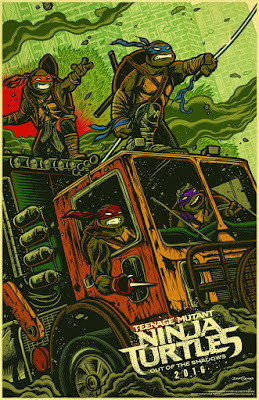 The TMNT will always be cool. With so much high quality programming hitting screens, both at home and in the theater, it would be very difficult to place this film anywhere near one's "must watch" list.